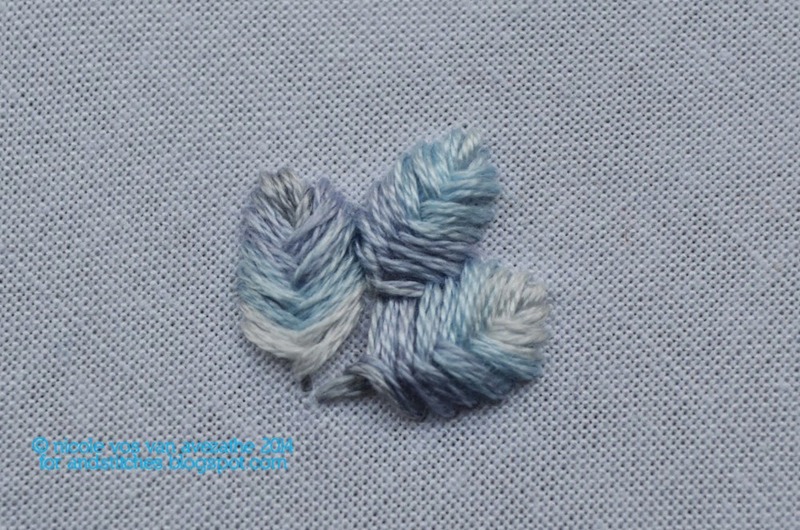 Usually we feature several different skeins in our Colour Inspirations posts but today's floss is special. DMC 4010 is host to a whole palette of different colours. Soft, misty, frosty, winter colours that change subtly from one colour to another. You can notice the different shades more distinctly when you place them close together like in a bunch of French Knots or in a stitch like the Raised Herringbone Stitch. DMC 4010 is part of the DMC Colour Variations series: over-dyed threads that can have several colours in each thread. Not to be confused with the Variegated colours that usually feature gradual shade changes within one colour. I really enjoy using these threads for their subtle effects. 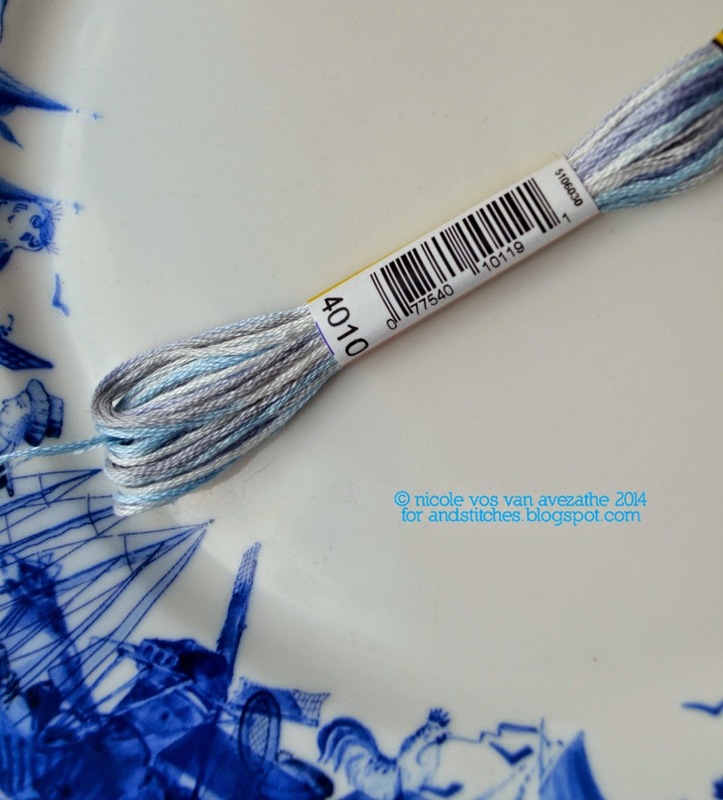 Do you use Colour variations or variegated threads too? What are you stitching? Please share in the &Stitches Flickr group. We'd love to see it! Oh this color stitches up so nicely! love it!